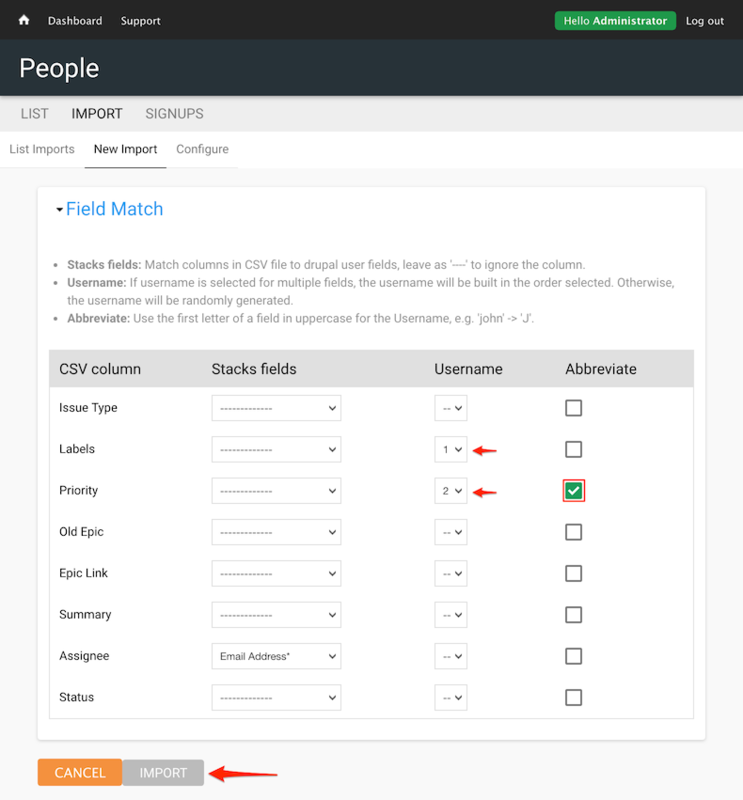 This function allows you to import a large list of users via a CSV file. These users will all receive the user role "Patron". 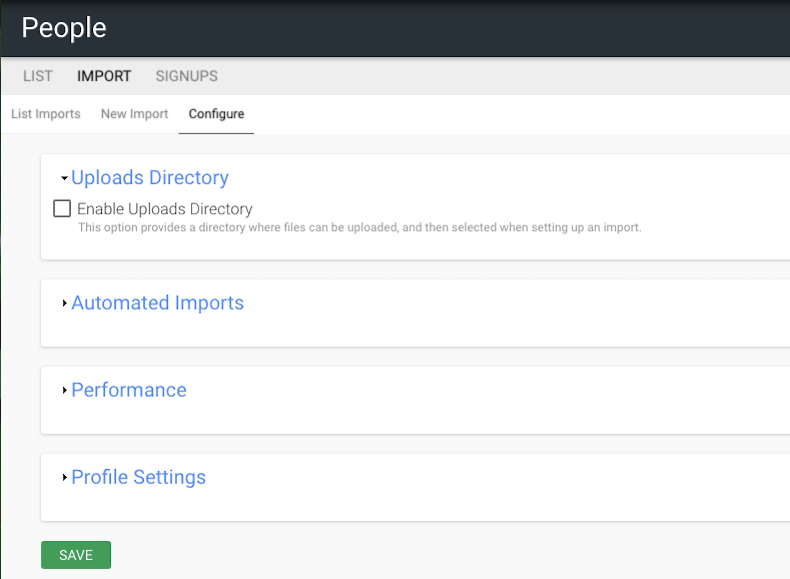 Automated Imports allows you to create a directory which will be scanned for any new files uploaded and automatically used to create new user accounts. 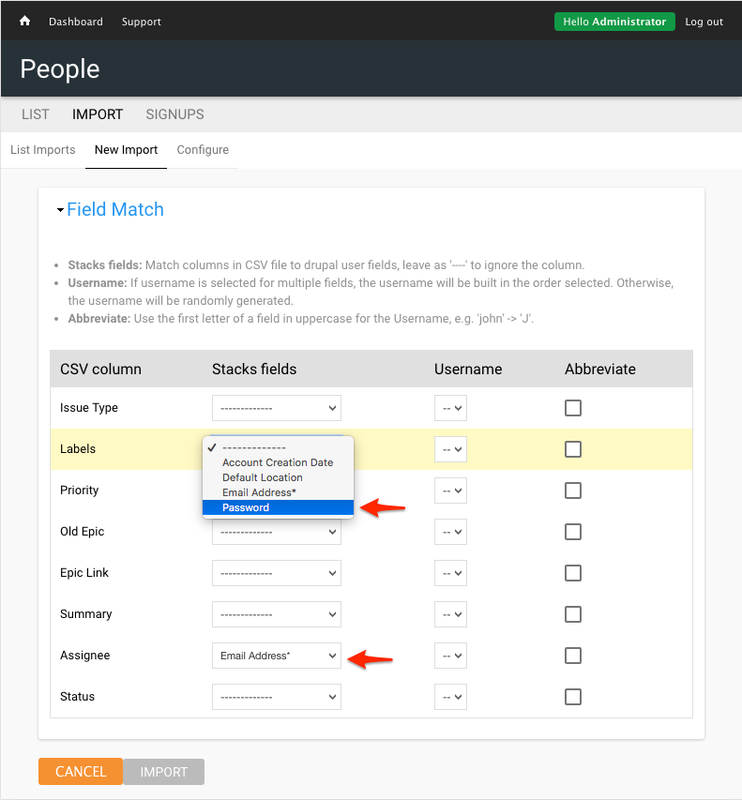 Set the delimiter if you will have more than one item per field. The delimiter will separate items in a field. 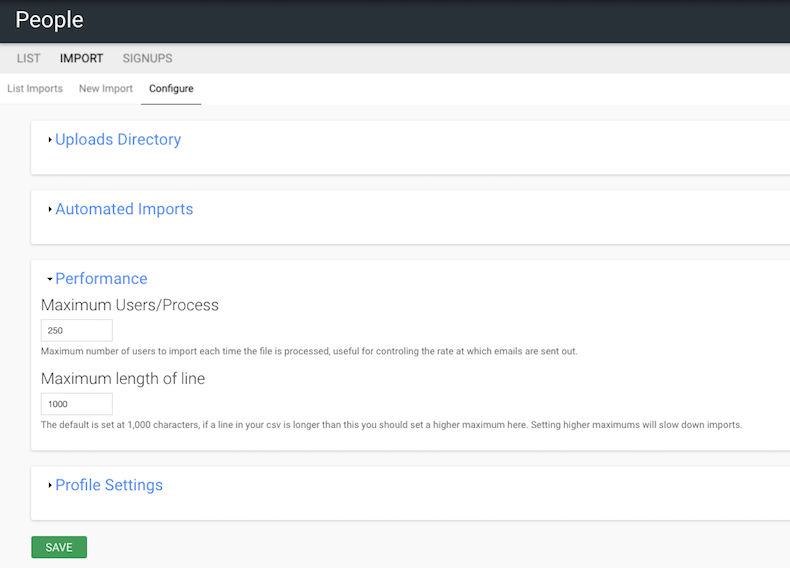 You must have a column of email addresses as Stacks users require a unique email address. 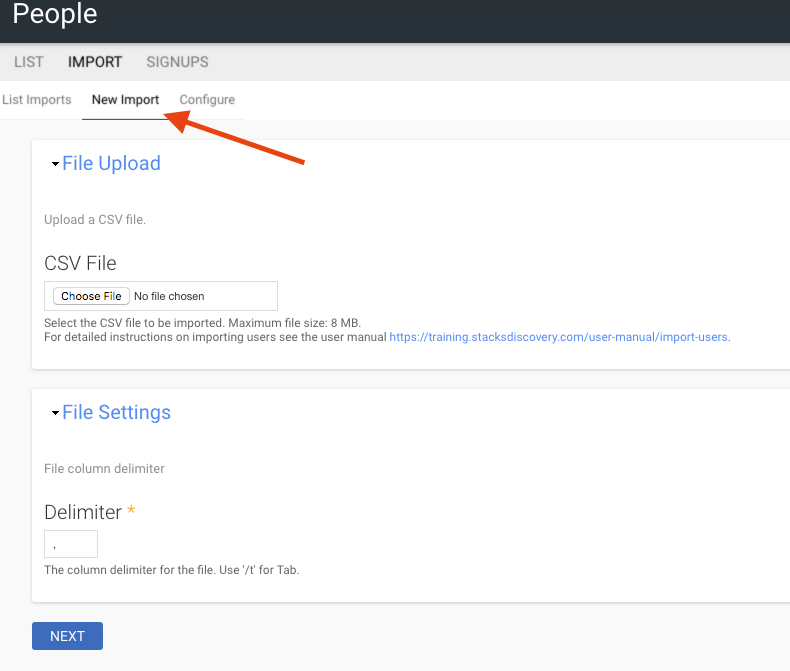 The file you have just imported will be read and the column headers will display in as row titles in the import mapping table. 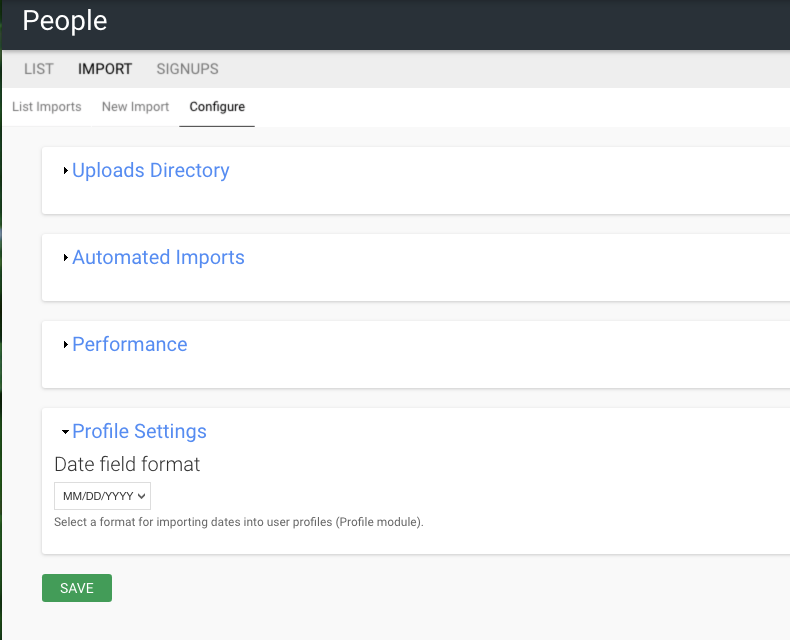 You can combine multiple rows into the username field during the import.